A root canal is a treatment that not only treats the teeth that are diseases but also make them healthy again and take away the pain. 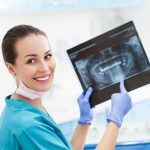 If your dentist said the only procedure to save your teeth is through the root canal treatment Los Angeles you do not have to be anxious or worried. The procedure involved in treatment using root canal is easy with the intent of relieving the pain in your tooth or teeth. Root canal treatments are recommended by dentists if one’s teeth have an infection in the roots, or an inflammation has occurred. The root canal treatment is administered by a dentist who specializes in this procedure known as an endodontist. The Smile LA Modern Dentistry has a number of qualified endodontists who are only a phone call away. When the root canal procedure is being conducted the endodontist gets rid of the pulp which is found in the inner part of the teeth. The teeth are also cleaned, the root canals are shaped, the inner part of the teeth is disinfected, and the fillings are then put back in place to cover the gap. Despite our best effort to keep our dental formula, healthy bacteria may still find a way of messing it up. Thorough brushing in addition to flossing and having your teeth checked frequently is essential. There are various causes that may cause one to have dental problems such as infections, decay or injury. These things can occur to any individual irrespective of one’s age. If you are experiencing pain in your mouth, it is important that you contact your dentist about the issue or if you do not have one it might be about time to get yourself one in your neighborhood. The endodontist is qualified to perform various treatments associated with injury in the mouth. They have been approved by the ADA (American Dental Association) to treat and make diagnosis patients who are suffering from cracked, abscessed, knocked-out and dislodged teeth. Just like any other problems the earlier the dental conditions are addressed, the easier it is to treat them. There are various things that can result in pain in your teeth, and each of them is treated differently. Any skilled endodontist will be in a position to find the root cause of your facial or oral pain without any difficulty. The endodontist will not only professionally treat your teeth in order to save it but will also recommend other treatments that can improve its performance or appearance. They are not just specialized in root canal treatment in Los Angeles but also in ensuring the general wellness of their patients. They will critically evaluate all the treatment methods that are available and discuss with the patient on the most ideal treatment for them. They give extra care and attention to each and every patient which makes their services personalized. This is what makes these dentists at the Smile LA Modern Dentistry the best in downtown LA.